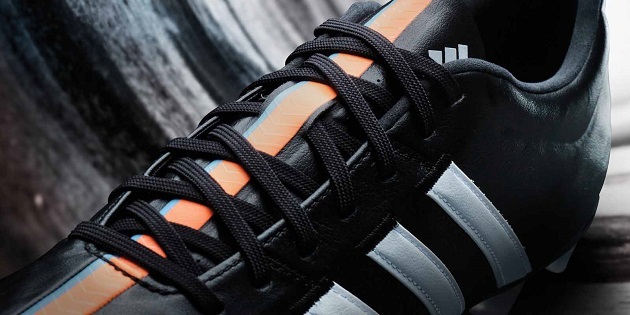 One of the first things that strikes you when you get the newest version of the adidas 11Pro is the obvious honeycomb texturing underneath the upper. 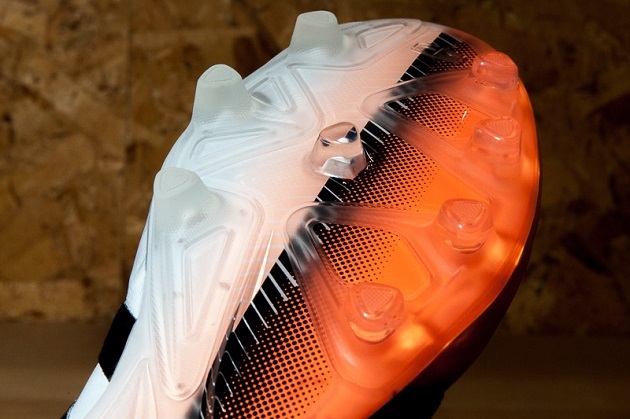 A testament to how thin the upper has become on the newest 11Pro, the honeycomb texturing led many to wonder if the boot would be similar to NikeSkin and the Nike HyperVenom. 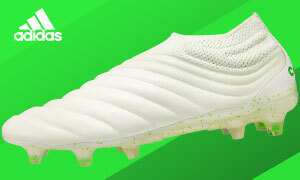 However, the newest incarnation of the 11Pro has very little in common with the Nike synthetic and boot as you begin to place the 11Pro on your feet. An obvious step towards the heritage side of construction and an extremely high level of comfort greet you immediately upon slipping on the latest adidas boot. A memory foam pad in the heel of the insole, some padding on the tongue to cut out the lace-bite, and a high quality leather has been very enjoyable over the first few wears. The touch has been impressive, and only seems to improve as the boot continues to shape to my foot. 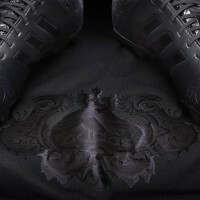 The honeycomb pattern has been added to help give the boot structure despite a fairly thin leather and to also prevent the large sections of unstitched leather from overstretching. 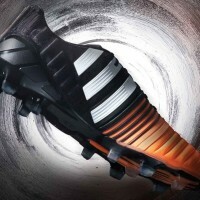 For the rest of the boot, we find the same Comfortframe that we saw on the most recent adiPure 11Pro. A very dependable (non-miCoach compatible) stud pattern that attempts to blend the dependability of the standard adidas soleplate with a wider frame to accommodate a smoother ride is a definite positive, but nothing to write home about. The 11Pro also finds a new string bag included with the release…for any boot nerd, these types of extras are always welcome (but we wish adidas would have been including them all along). The testing continues with a boot that only seems to improve with each wear, and one of our current thoughts is that this feels like where adidas should have gone after the adiPure IV. 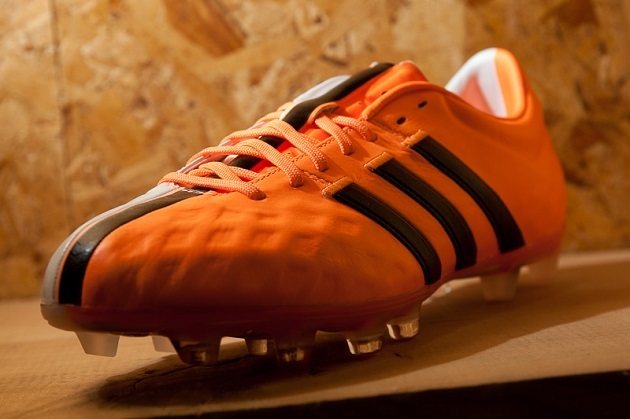 Adding in some modern technology while still giving us a boot completely adorned in one of our favorite boot materials seems like it would have been a no-brainer for adidas…but we will forgive them for wandering in the wilderness for a few 11Pro editions before giving us the newest incarnation. At this point, we would be hard pressed to not suggest looking at the 11Pro for your next boot…a good step by the three stripes.